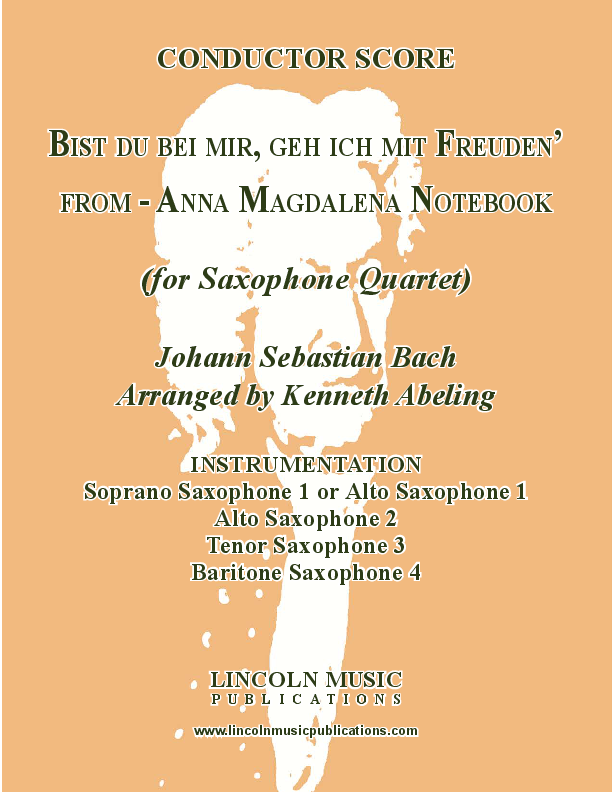 Johann Sebastian Bach’s Bist du bei mir, geh ich mit Freuden' from - Anna Magdalena Notebook transcribed for Saxophone Quartet. This is a charming little piece and is a great introduction to works of J.S. Bach. It is fitting for younger ensembles and useful for religious services and Weddings as well.